Your five-day workshop of traditional hand tool joinery and cabinetry is a concentrated introduction to classic bench work. Roy Underhill, former master craftsman at Colonial Williamsburg, conducts the full course along with author, teacher and artisan par exellence Bill Anderson. 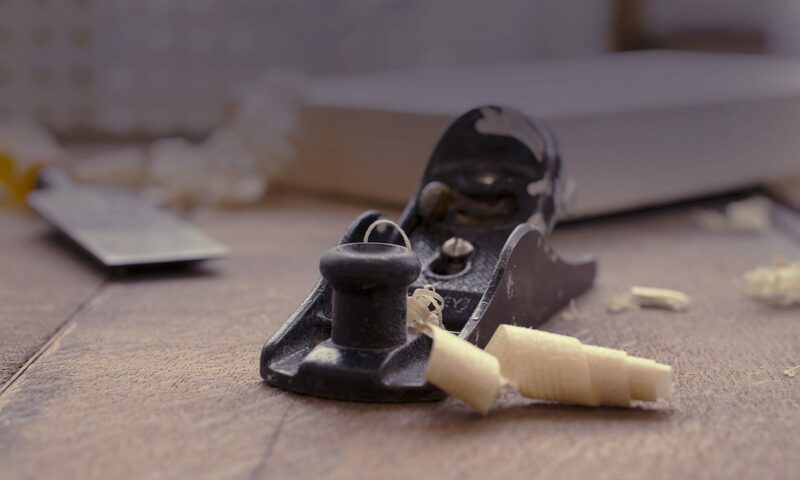 You’ll have proper vintage tools to work with, including both wooden and metal planes as we begin with rough-sawn seasoned timber and conclude with the ready to finish cabinetry. The historical processes that you’ll learn in these five days at the Woodwright’s School will build a visceral connection with the timeless tools, techniques, and traditions of the craft (no matter how you work when you get home!) In the mornings and early afternoons, we’ll have demonstration instruction mixed with hands-on learning at our benches. The individual project is a dovetailed benchtop toolchest with molded skirt and paneled lid to take home. Edge to edge joinery with tongue and groove planes. As work progresses, we’ll add in lessons in techniques such as stock dimensioning (from the log), sharpening, plane tuning, dovetail variations, panel-raising, and any requested topic that we can fit in. Materials fee including all prep work on poplar for tool chest (but exclusive of hardware) $90 payable to instructor during class. Sharing our love of fine woodworking through classes and mentoring.